This new album from The Goodwills (Bob and Laurel Wilson), their first studio project for 12 years, brings to life a variety of songs from the pen of Bob Wilson. The styles are varied and so is the subject material, although much of it is imbued with Bob’s trademark drollery. There is a distinctly Australian feel about the album, with its stories about ore trains, feral cats and watching footie on a Sunday afternoon. The CD has 14 tracks – beginning with the title track, an apocalyptic ballad about climate change, and then swings into a trad jazz style story about Buddy, a sweet old horse who got moved on when his paddock was claimed for housing. ‘Burning Father’s Letters’ is a heartfelt ballad about the dilemma faced by adult children left with their parents’ private correspondence. The song is reprised at the end of the CD with a spoken word narrative about Charles Dickens and his “bonfire of the vanities” in 1860 when, despite protests from family and colleagues, Dickens set fire to all of his personal correspondence. 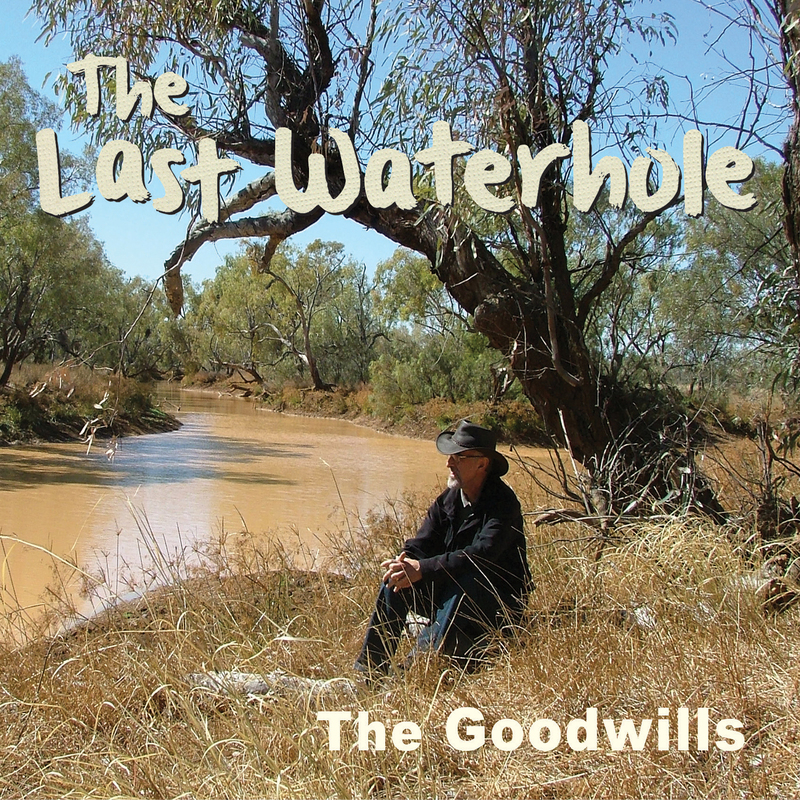 “Although the songs on ‘The Last Waterhole’ will of course be new to people who’ve never heard us before, we have been singing some of these songs to live audiences for a year or two now,” Bob said. ‘Another Year with You’, with its sweetly personal love story, is Bob’s take on the ‘bucket list’. The ballad ‘Rangitiki‘ muses about yesterday’s migrants (partly based on Bob and Laurel’s own immigration experiences) and contrasts this with today’s seekers after a better life. Bob’s long-buried ‘inner rock star’ emerged in the studio, thanks to the excellent and innovative musicians who played on the CD. The song ‘Dead Man’s Shirt’ will surprise the hell out of anyone who knows the acoustic style of The Goodwills. It’s a dark little tale of a young man down on his luck who buys a second-hand shirt, apparently imbued with some magic…. Some classy musicians helped Bob and Laurel bring these songs to life – Silas Palmer, Steve Cook, Rose Broe, Tim Finnegan, Erin Sulman and Mal Webb. Pix Vane Mason worked his magic in the studio and mastering engineer David Briggs made the album sparkle.